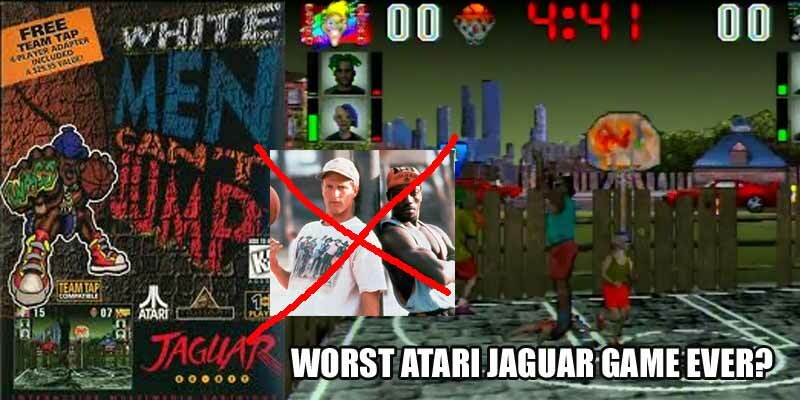 The only thing White Men Can’t Jump (1995, Jaguar) has in common with the classic comedy starring Wesley Snipes and Woody Harrleson is the Los Angeles streetball setting. The only comedy here is how piss-poorly the game is made. Granted, the graphics aren’t too bad by mid-90s standards, but otherwise the game is borderline unplayable. The erratic camera movements are frustrating, the catchphrases like “STEAL”, “BRICK” and “CRASH” popping up on the screen are annoying and controls aren’t even responsive half of the time. No wonder this one is often called the worst game on the Atari Jaguar despite the stiff competition.